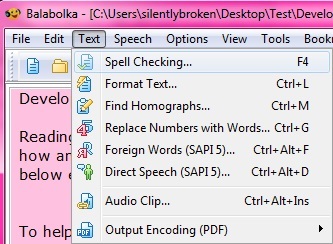 Much like Microsoft Word, Balabolka has a spell check facility. 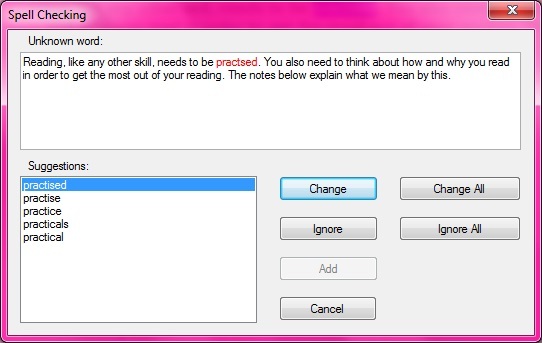 If a word has been misspelt it highlights in red. 1. To correct the spelling, hover over the red text and right click. A list of words will appear and you can choose which one you’d like to change it to by clicking on it. 2. You can also perform a spell check of the document by clicking on Text in the toolbar at the top and selecting spell check, or by using the keyboard shortcut of the F4 key. 3. 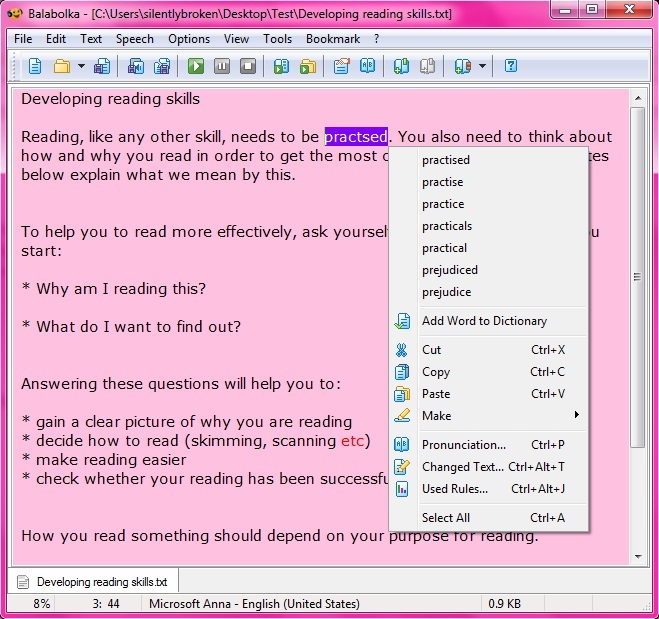 Another window will open and you can select the word you want to change it to from here and click the change button.